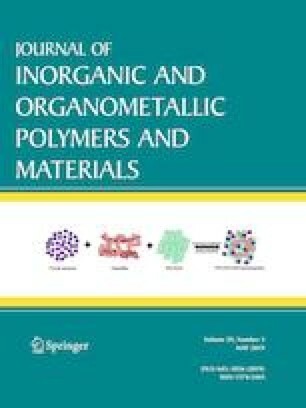 Hydrogenated nanocrystalline silicon oxide/hydrogenated amorphous silicon oxide (nc-SiOx:H/a-SiOx:H) multilayer films were fabricated using very-high-frequency plasma-enhanced chemical vapor deposition (VHF-PECVD) technique by alternate deposition of nc-SiOx:H and a-SiOx:H at a low substrate temperature of 220 °C. The effects of the amount of oxygen incorporation in the nc-SiOx:H sublayers on the structural and photoluminescence (PL) properties of nc-SiOx:H/a-SiOx:H multilayer films were investigated by transmission electron microscopy, Raman scattering, UV–VIS-NIR absorption spectra, steady and time-resolved PL spectra. As the amount of oxygen incorporation increases, the crystalline volume fraction of multilayer films decreases, while the intermediate-range order of multilayer films firstly increases and then decreases. Strong room temperature PL has been observed in the multilayer films and the correlation between structural and PL properties is discussed. This low-temperature procedure for fabricating nc-SiOx:H/a-SiOx:H multilayer films can provide powerful impetus for the further development of optoelectronic devices based on Si-NCs. This work is financially supported by National Natural Science Foundation of China (Grant No. 61504036), Natural Science Foundation of Hebei Province, PR China (Grant No. F2017201101) and Natural Science Foundation of Hebei University (Grant No. 2012-235).